Pay Only for What You Use The SaaS solutions provide our customers with flexible and low-cost tools, allowing them to access all necessary business functionalities over the Internet. 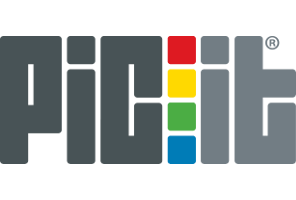 As a PICit customer, you only pay for what you actually use. You ‘pay-as-you-go’, as pricing is done on a per user/transaction basis. Transaction fees include server equipment, backup system and licences, operating system and licences, database and development platform licences, applications, access to helpdesk support, secure server environment, programmers and system engineers. In addition to low up-front costs, the SaaS solutions remove the need for our customers to handle installation, set-up, daily upkeep and maintenance. Accessible from Anywhere Our SaaS solutions can be used on almost any device that can be connected to the Internet – computers, mobiles and handheld units. Thus, users can easily log on to the solutions from wherever they are and thus be in constant touch with the latest data available. Easier Updates and Upgrades As the software is centrally hosted in our information centre, any updates or upgrades are immediately available to all users. Thus, users can always be certain that they are using the latest version of our solutions. High Level of Security As a software provider with more than 25 years of experience, we are fully aware of the importance of a high level of data security. Skilled resources, network redundancies, stand-by power, up-to-date security and intrusion detection and hot database backup are just some of the security measures that we take in order to secure our customers’ data.